3-D Life Togro Hydrogel is a preconfigured hydrogel that contains an RGD peptide for cell adhesion to the gel matrix, as well as a matrix metalloprotease-sensitive crosslinker for local degradation of the hydrogel by matrix metalloprotease-secreting cells. It has a stiffness of approximately 400 Pa (shear modulus). The 3-D Life Dextran-PEG Hydrogel Kit provides reagents for setting up fast gelling, cell-compatible hydrogels. 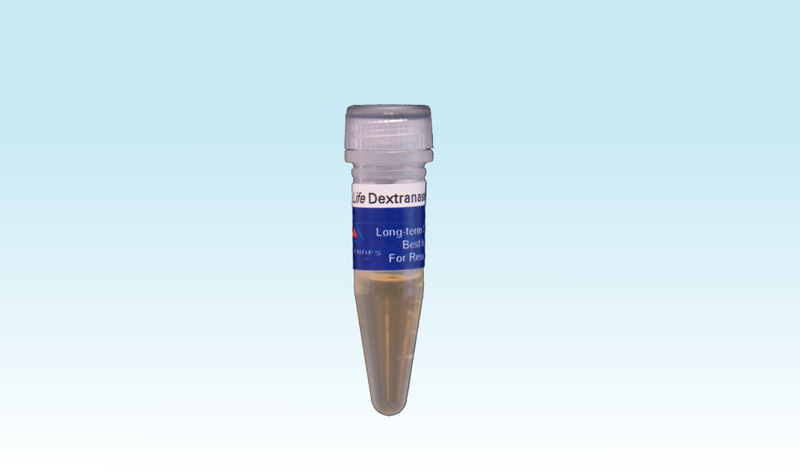 Its major components are maleimide-functionalized dextran (Mal-Dextran) and the crosslinker PEG-Link. The 3-D Life Dextran-CD Hydrogel FG kit provides reagents for setting up fast gelling, cell-compatible hydrogels. Its major components are maleimide-functionalized dextran (Mal-Dextran) and the crosslinker CD-Link. 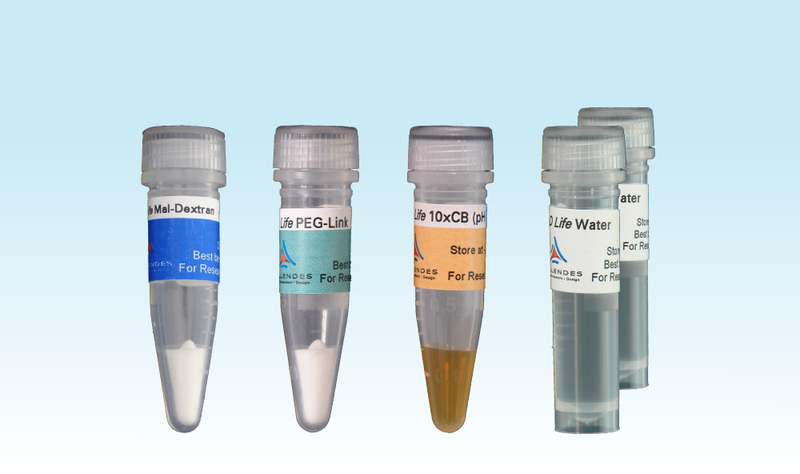 The 3-D Life PVA-PEG Hydrogel FG kit provides reagents for setting up fast gelling, cell-compatible hydrogels. Its major components are polymeric Mal-PVA and PEG-Link. 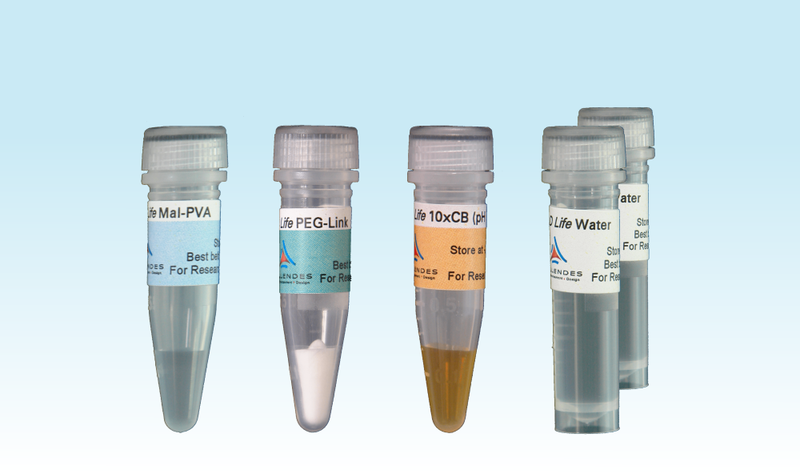 The 3-D Life PVA-CD Hydrogel FG kit provides reagents for setting up fast gelling, cell-compatible hydrogels. Its major components are polymeric Mal-PVA and the crosslinker CD-Link. The 3-D Life Dextran-PEG Hydrogel SG Kit provides reagents for setting up slow gelling, cell-compatible hydrogels. Its major components are SG-Dextran and the crosslinker PEG-Link. 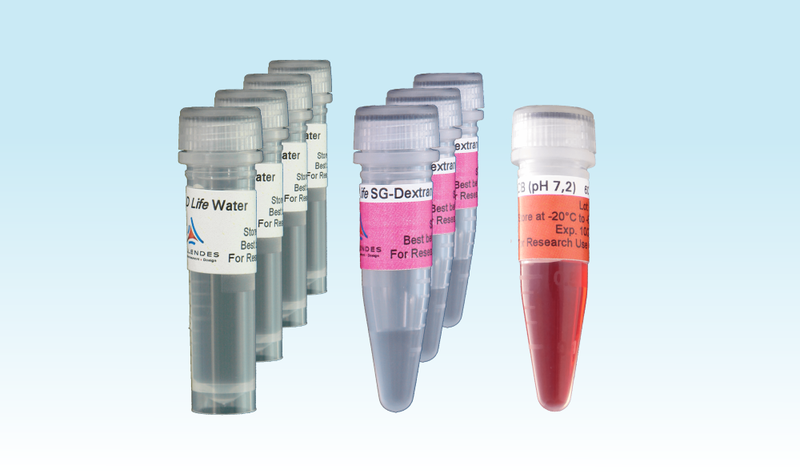 The 3-D Life Dextran-CD Hydrogel SG Kit provides reagents for setting up slow gelling, cell-compatible hydrogels. 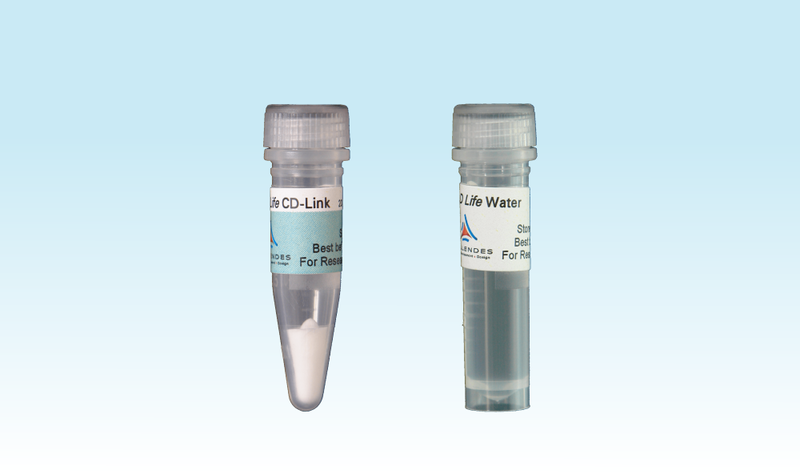 Its major components are SG-Dextran and the crosslinker CD-Link. 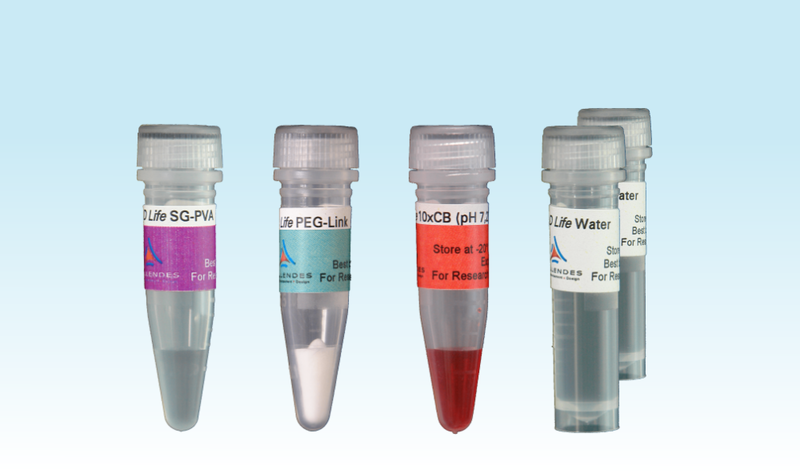 The 3-D Life PVA-PEG Hydrogel SG Kit provides reagents for setting up slow gelling, cell-compatible hydrogels. Its major components are the polymeric SG-PVA and the crosslinker PEG-Link. 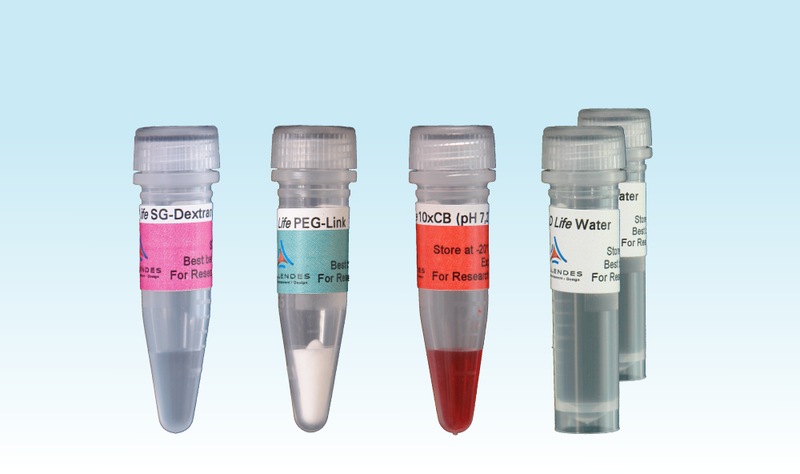 The 3-D Life PVA-CD Hydrogel SG Kit provides reagents for setting up slow gelling, cell-compatible hydrogels. 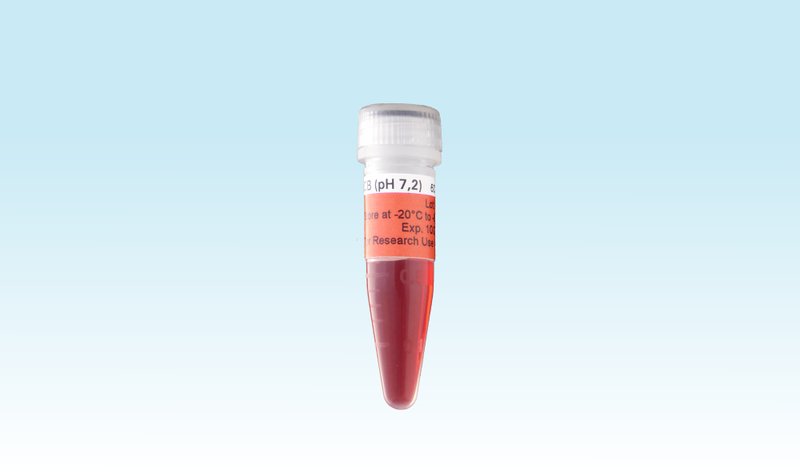 Its major components are polymeric SG-PVA and the crosslinker CD-Link. 3-D Life PEG-Link is a component of the 3-D Life Hydrogel system. The PEG-Link molecule consists of polyethylene glycol carrying a thiol at each end. 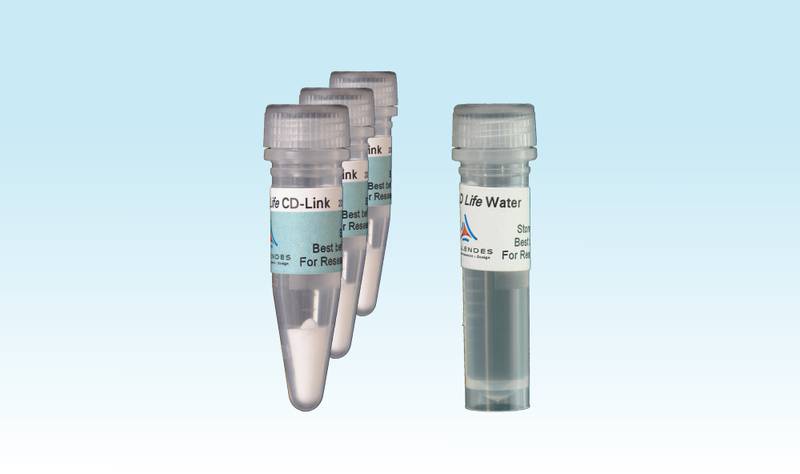 3-D Life CD-Link is a component of the 3-D Life Hydrogel system. The CD-Link molecule consists of a polyethylene glycol-peptide conjugate carrying a thiol at each end. 3-D Life SG-Dextran is a component of the 3-D Life Hydrogel system. 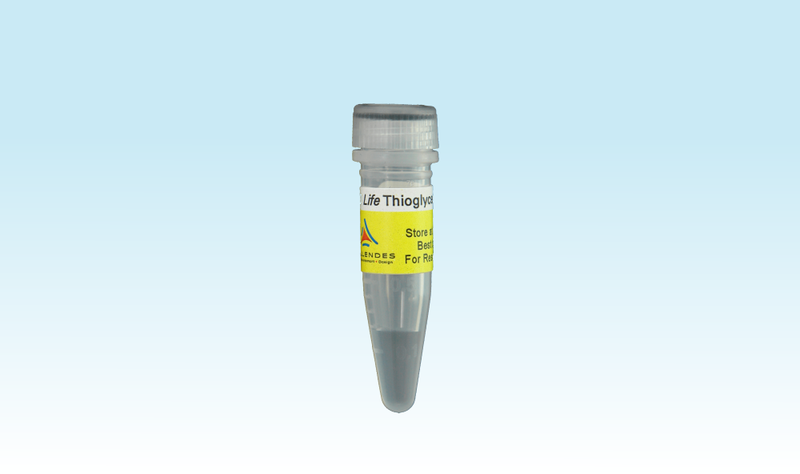 It contains thiol-reactive dextran (SG-Dextran) that can be used together with PEG-Link (Cat. No.L50-1 or L50-3) or CD-Link (Cat. No. L60-1 or L60-3) to set up slow-gelling biomimetic hydrogels for 3-D cell culture. 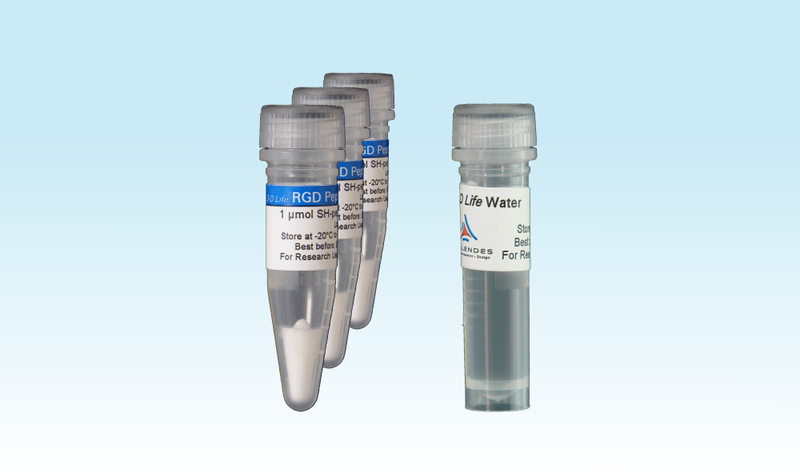 3-D Life FG-Dextran is a component of the 3-D Life Hydrogel system. It contains maleimide-functionalized dextran (Mal-Dextran) that can be used together with PEG-Link (Cat. No.L50-1 or L50-3) or CD-Link (Cat. No. L60-1 or L60-3) to set up fast-gelling biomimetic hydrogels for 3-D cell culture. 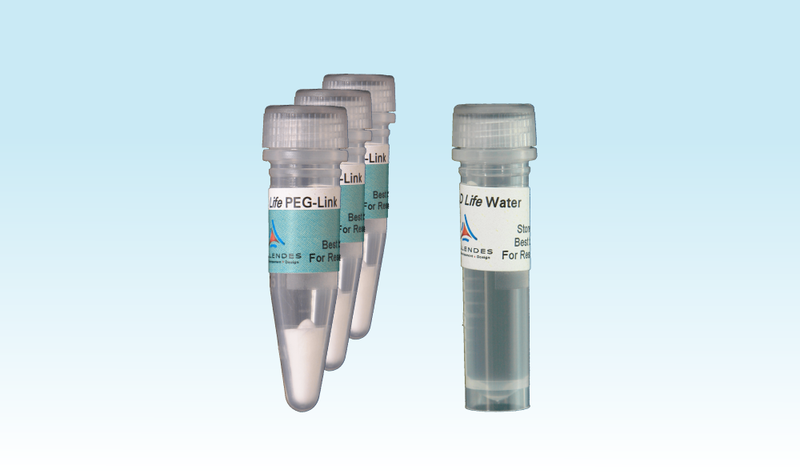 3-D Life SG-PVA is a component of the 3-D Life Hydrogel system. 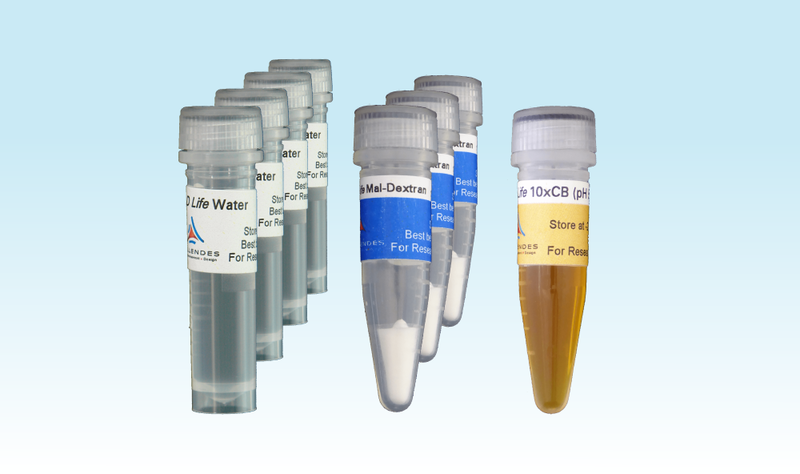 It contains thiol-reactive polyvinyl alcohol (SG-PVA) that can be used together with PEG-Link (Cat. No. L50-1 or L50-3) or CD-Link (Cat. No. L60-1 or L60-3) to set up slow-gelling biomimetic hydrogels for 3-D cell culture. 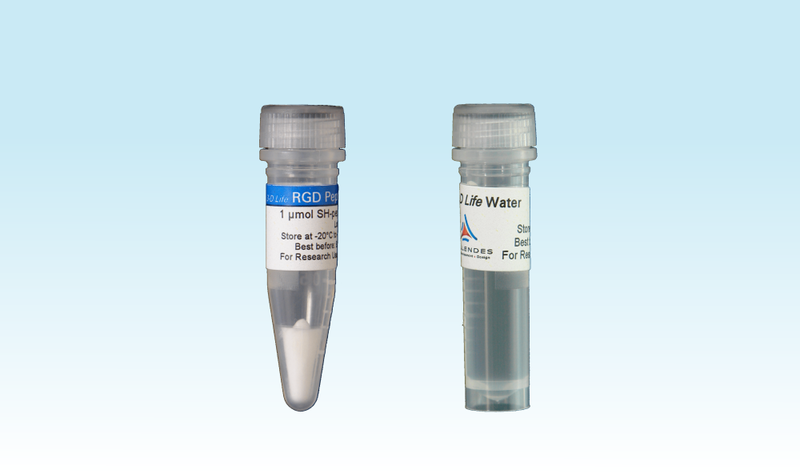 3-D Life FG-PVA is a component of the 3-D Life Hydrogel system. 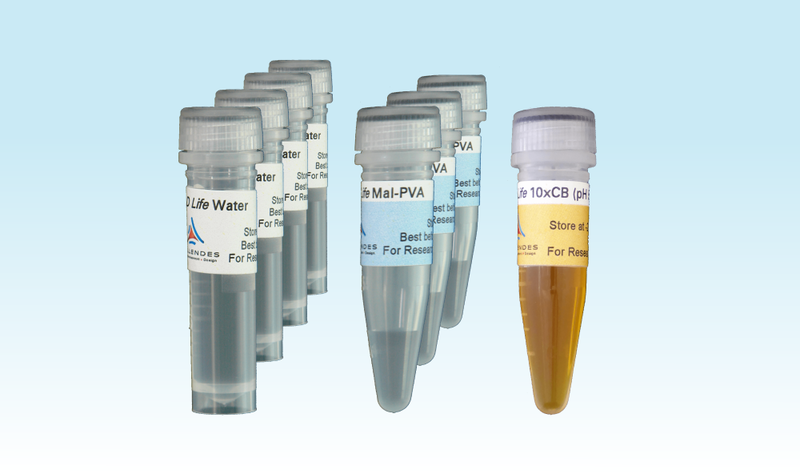 It contains maleimide-functionalized polyvinyl alcohol (Mal-PVA) that can be used together with PEG-Link (Cat. No. L50-1 or L50-3) or CD-Link (Cat. No. L60-1 or L60-3) to set up fast-gelling biomimetic hydrogels for 3-D cell culture. The 3-D Life Dextranase allows the degradation of dextran-based 3-D Life Hydrogels. It contains dextranase from Chaetomium gracile, which cleaves glycosidic bonds of dextran. Thioglycerol (CAS-No. 96-27-5) can be covalently coupled with its thiol group to SH-reactive groups of Dextran or PVA polymers to modify 3-D Life Hydrogels. 3-D Life 10x CB-Buffer (pH 5.5) is a component of the 3-D Life Hydrogel system. It is a 10x concentrated salt and buffer solution which is diluted to physiological strength when used in the 3-D Life Hydrogel system. 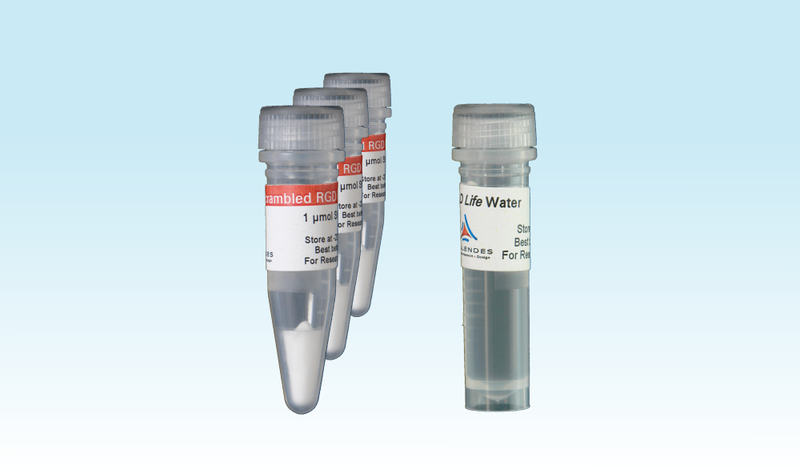 3-D Life 10x CB-Buffer (pH 7.2) is a component of the 3-D Life Hydrogel system. It is a 10x concentrated salt and buffer solution which is diluted to physiological strength when used in the 3-D Life Hydrogel system.